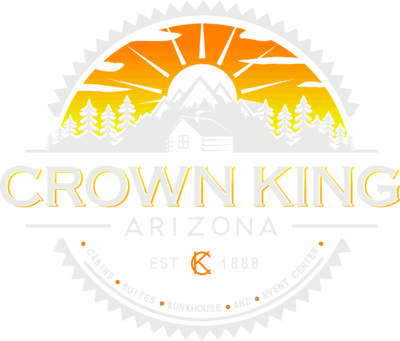 The Town of Crown King in Arizona has much to offer. From off-roading, a quiet hike, or just escape the heat! 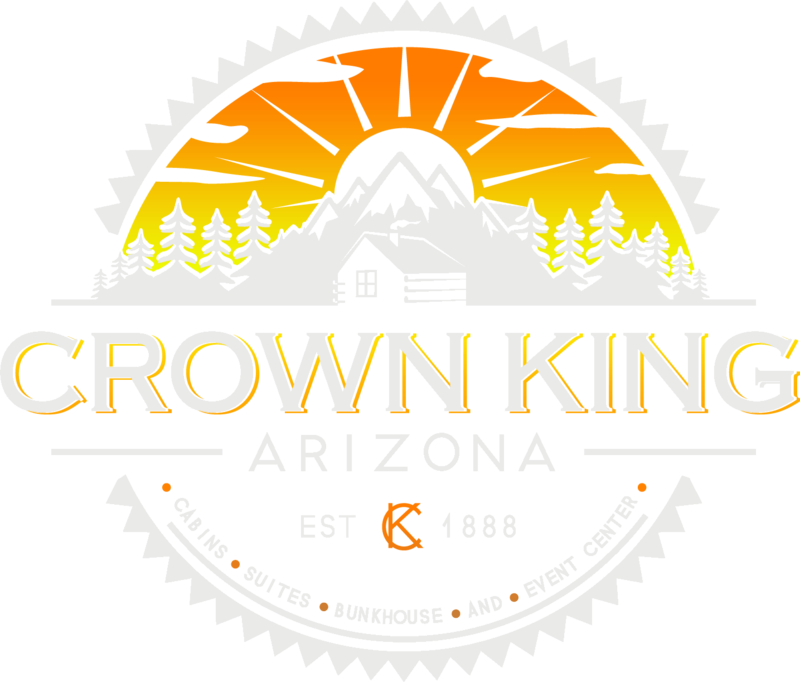 Many visitors enjoy our Crown King Events running all year long. The Crown King Saloon Come hang out at the local Crown King watering hole. This is the final destination of the “Oldest Working Saloon in the State of Arizona” and a favorite spot for most Crown King AZ Visitors. The Cleator Bar and “Red Neck Yacht Club”– Stop in for a cold one and be a member and stop in and visit Darlene at the Store and visit Judy and Don across the street with their amazing collections of rocks, glass bottles and much, much more. Crown King Cabins, Suites and Bunkhouse: Finest Lodging Facility featuring Cabins and 1 bedroom Suites. This is a hidden treasure with amazing gardens and flowers for every season. The Crown King Bunkhouse: Lodging Faciliate for larger groups. This is a huge historic home with amazing historical pictures and antiques. The Crown King Event Center: Outdoor Event Center nestled in the Pines. This area features 2500 sq ft of sod, an outdoor stage, a bar and food area. We also feature a small memorial to the Fallen 19 Granite Mountain Hotshots. Great for Weddings/Receptions, Picnics and ReUnions, Corporate Meetings and Picnics and Featured Events. The Prospector Smokehouse and Grill: Folks, we’re up and running with our new kitchen with the newest contraptions for fixing your vittles here in Crown King. Smoked meats of all kinds and delicious!!!! Order ahead and a hot meal will be waiting for you. And we’ve got the best doggone prices in town!! Located at the end of Main Street across from the Historic Saloon! Happy Trails Sport UTV Rentals– Call Sean to make arrangements 602-577-5167 – Discover the Crown King Trails. Inquire about guided tours of this amazing Mountain!! The Mill Restaurant – Enjoy lunch and the world famous “Beer Bread” and signature dishes and crispy fries. For Elegant Dinner on Saturday Nights the Christies break out the “Big Guns” featuring Rib eyes cooked to order, Scampi, Lobster, Ribs, Salmon, etc. etc. Horse Thief Basin Recreation Area– hosts a serene and scenic man-made lake with a damn for fishing. Perch, Crope, and Bass if you’re lucky!! Call Dimitri at 928-399-0868 No job too small!! More links and info to come!